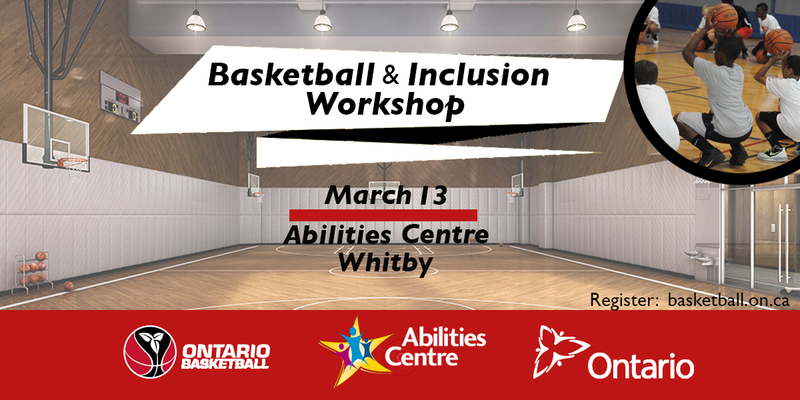 Ontario Basketball invites the basketball and local community to the free Basketball & Inclusion Workshop on Tuesday, March 13 at Abilities Centre in Whitby. The Basketball & Inclusion Workshop is a professional development opportunity for basketball coaches, coordinators and staff as well as school-based professionals. Spend a day at the beautiful, award-winning Abilities Centre as their expert staff help participants build the tools necessary to include people with physical and intellectual disabilities within basketball clubs as well as school and recreational basketball programs. Note: Participants traveling from outside the GTA may be eligible for a travel reimbursement. Contact Katrina Krawec to find out more. This free workshop was made possible through the support of the Ministry of Tourism, Culture and Sport. Written on 2018-03-02, in News.